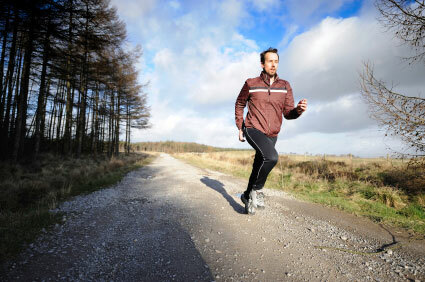 If you suffer from persistent tiredness, exercise may be the last thing you think about doing. You probably feel too drained to get yourself up and changed into your workout clothes, much less out of the house, into the car and over to the gym or on to your bike for a ride. But you’ve also probably heard that exercise is a good way to increase energy naturally. Do you think it’s the case but just not true for you? Or is it that you just need to push yourself past your initial resistance to exercise? How Does Exercise Increase Energy Levels? Short bursts of moderate exercise give you short bursts of energy. Chances are good that you’ve experienced this at some point. Moving gets your blood flowing and causes your body to release chemicals called endorphins which increase energy levels naturally. If you want sustained energy – that is if you want to be more energetic overall – you need to exercise on a regular basis to build stamina. Regular exercise does this by increasing muscle mass. It also enables your metabolism work more efficiently. So, in effect, exercise gives you more energy because you use less energy when your body is in better shape. One reason that people resist the idea of exercise is that they think it will be hard or boring. This does not have to be the case. Anything that requires you to move your body counts as exercise, and everyone can probably think of some type of activity that is at least as enjoyable as sitting mindlessly on the couch flipping through television channels. Do you like the outdoors? Then a nature walk would be a good exercise choice for you? Do you like to learn or sightsee? Try a walking tour of a historic neighborhood. If you’re the more competitive type, you may want to join a recreational sports league. Many areas have opportunities to play a competitive sport, such as basketball, volleyball or tennis. Challenge yourself by running in local races or if you live near the water, join a rowing team. You will find yourself energized not only by the physical exercise itself but also by the challenge of competing with yourself or as part of a team. If you need a different motivation for learning how to have more energy, maybe your social life is the answer. Many activities that include some form of exercise can also give you the opportunity to meet people and make new friends. If you like yoga, find a studio you can attend on a regular basis. Chances are you will soon make friends with fellow students who are on a similar path as you. Another way to combine exercise with socializing is to join a hiking club or a gym. If you’re also looking for a sense of purpose, try volunteering. Volunteer work can have both social and physical benefits, depending on what type of service you choose to do. For example, you can volunteer to help to clean up a riverbank or maintain a hiking trail, or you can work on a housing construction project in your community. If you love animals, find a shelter that needs volunteers to walk dogs, or if you like kids, get involved in an after school or summer playground program. Maybe your social life is already full, perhaps so full that you’re exhausted! If so, you may believe that there just isn’t time in your schedule to get out and exercise on a regular basis. If this is the case, try developing a simple routine that you can do right in your own home. If you have enough space to move, simply walking around your house or dancing to your favorite music for a while will help increase your energy. You don’t need an hour long block of time either. Even a few minutes of exercise several times throughout the day will do the trick. If you’re honest with yourself, you should have no trouble finding some unproductive habits to give up in exchange for a little bit of physical activity. You can also try to combine your daily chores with exercise. This can be as simple as walking to the library to return a book or moving more briskly while you clean the house.Yard work is another obvious way to exercise and take care of your home at the same time. Remember that exercise is just one way to increase energy. You can find much more information about why you may be tired and what you can do about it in the ebook “End Tiredness Program”.